Preheat the oven to 375°. In a medium bowl, blend the mayonnaise, cheese, 1/4 cup chives and the lemon juice. Fold in the lobster and season with salt and pepper. Scrape the dip into a small shallow baking dish and scatter the crushed potato chips on top. Bake the dip for about 15 minutes, until hot and lightly browned on top. Serve with kettle-cooked potato chips. 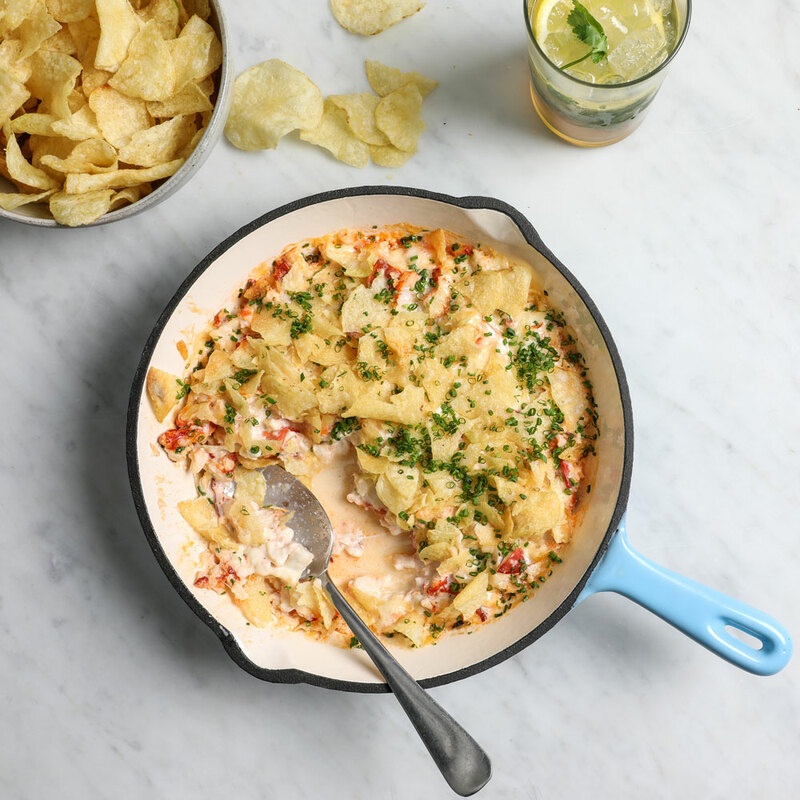 The unbaked dip can be covered and refrigerated overnight. Let stand at room temperature for 15 minutes before baking.